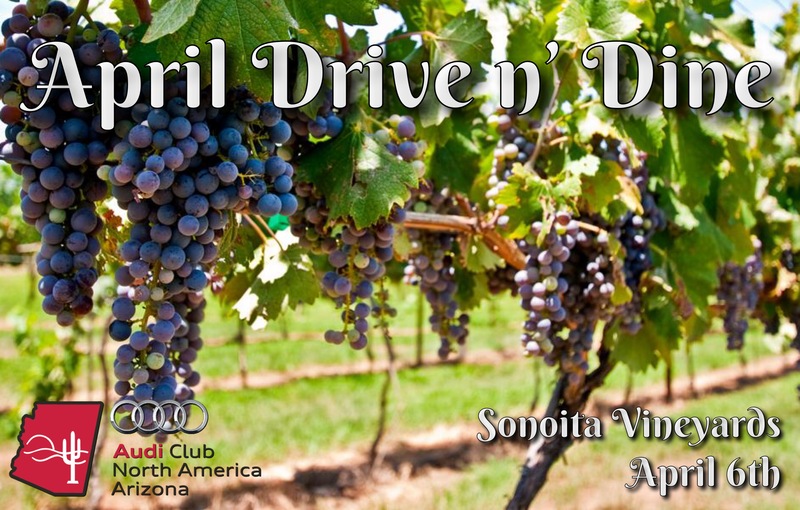 On April 6, 2019 Audi Gilbert will serve as the 10:00am departure point when the Audi Club of Arizona ventures south to help Father Greg at the 41st Annual Blessing of the Sonoita Vineyards in Elgin, AZ. We will drive a couple hundred yard south to the 202 East, hop on AZ 60 and head to Florence and AZ 79, driving past the Tom Mix Memorial through the desert vistas on route to AZ 83 and the very first vineyard in Arizona nestled in the gentle hills of Elgin, AZ. Upon arrival we will take advantage of The Steak Out Restaurant, known for “the best food in these parts”, who will be catering the event. We are certain they will have wine pairing suggestions for each of their menu offerings. Yes, you can fulfill your dream of a very fine cabernet accompanied by hunk o’ meat. With your pre-purchase price of $20 (limited to 250 at sonoitavineyards,com) or $25 at the door you will receive a souvenir glass, 6 wine tastings, 4 wine & food pairings, and a winery tour with the winemaker. Live music will be presented by Neaman Lyles, Corey Spector and the Grasslands Band. When your energy and tickets have run out, you can return home the same way or take the straight driving challenge of I-10 back home. Either way, you have had another memorable day exploring one more corner of fabulously beautiful Arizona with your fabulously beautiful four-ring friends!